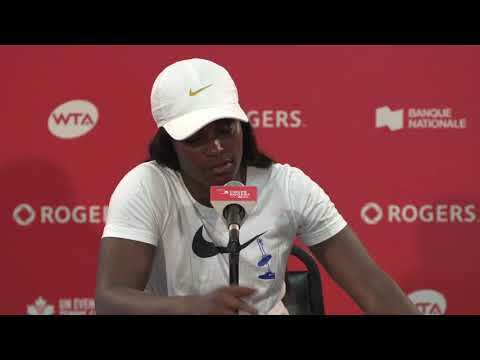 Over the next few weeks, we will be introducing to some of the WTA’s brightest young stars who you will get the chance to see up close in Montreal next month at the Rogers Cup presented by National Bank. First up is our defending champion Belinda Bencic. At just 19 years of age, the talented Swiss has already won two WTA singles titles and another two in doubles. While coached by her father, Bencic has also been advised by Melanie Molitor, mother of Martina Hingis, since she was four. Hingis herself has served as a mentor. “Martina always tries to help me a lot. When she has time between her matches, she always comes to watch me play. We often talk about tactics,” Bencic said. Last year, in her first appearance at the Rogers Cup in Toronro, Bencic, then ranked no. 20 in the world, captured the biggest title of her young career. En route, she defeated six players ranked inside the Top 25 who are all former Grand Slam finalists and four of them were ranked in the top 6. 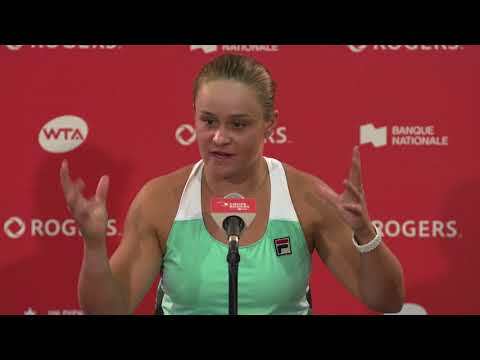 Her victories were earned at the hands of Eugenie Bouchard, Caroline Wozniacki, Sabine Lisicki, Ana Ivanovic, Serena Williams, and Simona Halep. Quite an accomplishment! Bencic’s 2016 season has been filled with ups and downs. This week, she returned to the tour on the grass courts of the Ricoh Open following a two month absence because of a back injury. She won the first match of her comeback on Tuesday, defeating Alison Van Uytvanck in a third set tiebreak. Bencic, currently ranked no. 8 in the world, will be making her first appearance in Montreal this summer and we can’t wait to watch her defend her Rogers Cup title!